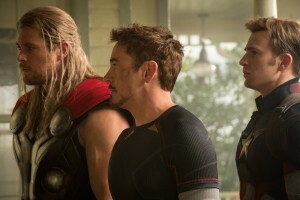 (l-r) Thor (Chris Hemsworth), Iron Man/Tony Stark (Robert Downey Jr.) and Captain America/Steve Rogers (Chris Evans) in MARVEL’S AVENGERS: AGE OF ULTRON. ©Marvel. CR: Jay Maidment. 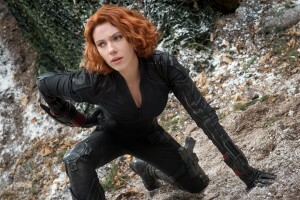 A Sub-Ultron (voiced by James Spader) in MARVEL’S AVENGERS: AGE OF ULTRON. ©Marvel. Black Widow/Natasha Romanoff (Scarlett Johansson) in MARVEL’S AVENGERS: AGE OF ULTRON. ©Marvel. CR: Jay Maidment.